The Minister of Information and Culture, Alhaji Lai Mohammed, on Tuesday urged the media not to glamorise attacks of the Boko Haram sect. Mohammed spoke during a courtesy visit to the headquarters of the Punch Nigeria Limited in Magboro, Ogun State. Mohammed has come under attack after declaring that Boko Haram had been “technically” defeated. Many have blamed his premature and inopportune statement for the wave of multiple attacks and suicide bombings by the sect in Borno and Adamawa States during the Christmas holidays, resulting in the deaths of scores of people. Mohammed appealed to the media in the country to be more restrained in their reportage on Boko Haram attacks. “When we glamorise the attacks, it gives the terrorists more life, and in a time of insurgency like this, the media also has a role to play, which is not to glamorise the attacks. “Publicity is the oxygen that any insurgent or group uses to survive; we are not saying that you should not report what is happening. “We do not intend to censor, interfere in your sense of judgement or editorial. “We believe in times of war, the media should know that it has to be on the side of the country,” he said. The minister said that reports in the media were giving the public the impression that government was losing the war on terrorism. 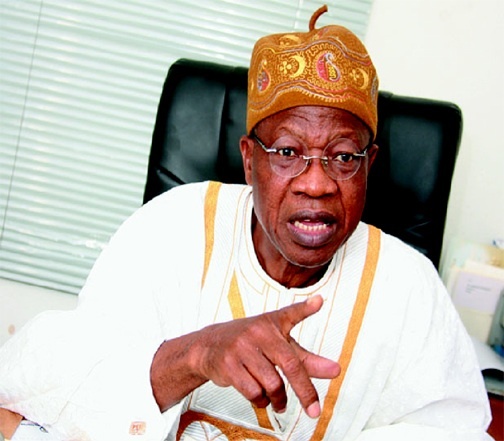 Mohammed maintained that the federal government had met the December deadline on terrorism. “I think the military has largely succeeded in wiping out Boko Haram,” he said. The minister said that isolated bomb attacks on soft targets should not be confused with insurgency, stating that such soft attacks would be hard to eliminate. “We insist that we have met it; it is not rhetoric, it is true and the military has done its part, Boko Haram has been defeated. “What is missing is the civilian end of the war,” he said. Mohammed urged the media to support the government in a public service campaign on what Islam is and the sensitisation on how to identify improvised explosive devices and suicide bombers. “The media needs to play its role now and that is also reporting equally the progress reports,” he said. Mr. Joseph Adeyeye, the Controller, Publications, Punch Nigeria Ltd., who thanked the minister for coming, said that the media would have to reflect the realities in the country. He advised the federal government to improve on its intelligence gathering capabilities.